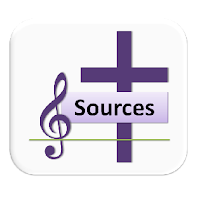 A selection of hymns and songs, based on the readings and themes for the feast of St Brigid of Kildare, as well as the stories and themes associated with her life. 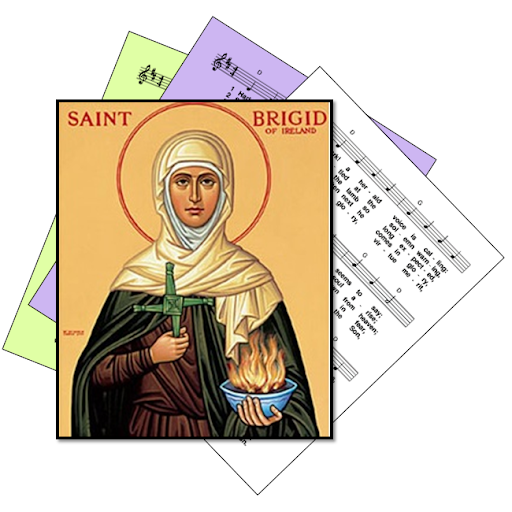 Brigid of Kildare, known as Muire na nGael (Mary of the Irish) is the secondary patron national saint of Ireland. She lived from approx 451 to 525 AD. Born of a court-official father and slave mother, she is credited as being Ireland's first nun, founding several monasteries, and with being generous and compassionate, and a peace-maker. There are many legends about her care for people and the earth, working with cows, milking, making butter, brewing, carrying a torch, weaving crosses from rushes, spreading a miraculous cloak, etc. 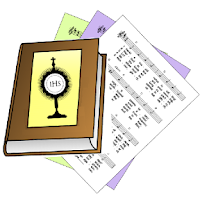 First: Job 13: 16-20, 24-25, 31-32 - The prophet examines his conscience, asking if there are times he has been insensitive to the needs of the poor. Ephesians 3:14-21 - Paul prays "may he give you the power through his infinite Spirit for your hidden self to grow strong" ... " know the fullness of God." Gospel: Luke 6:32-38 - Jesus teaches "Love your enemies and do good. Lend without any hope of return ... Be compassionate as your Father in heaven is compassionate." Compassion. Serving the poor. Justice and social concern.